Heat oven to 350°F. Spray 13x9-inch (3-quart) baking dish with cooking spray. Cook and drain pasta shells as directed on box. 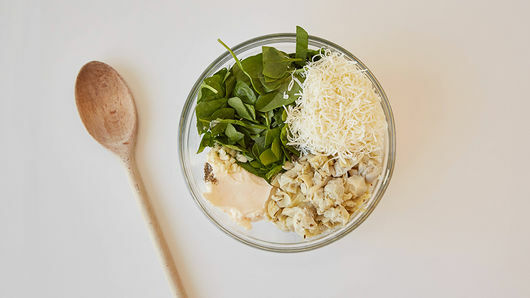 Meanwhile, in medium bowl, mix mayonnaise, spinach, artichoke hearts, garlic, 1 cup of the cheese, the salt and pepper. 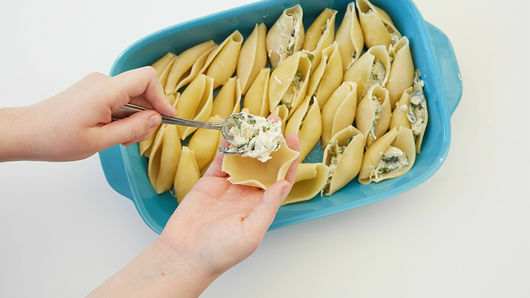 Fill each pasta shell with a tablespoon of the spinach mixture; place in baking dish filling side up. 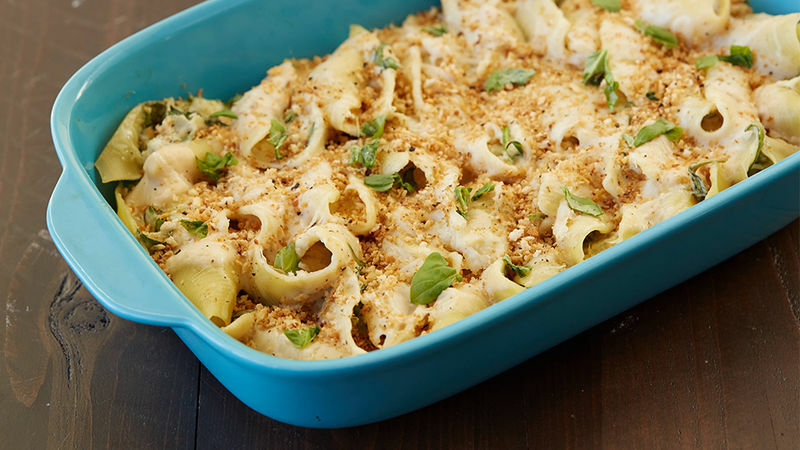 Top filled shells with Alfredo sauce, and sprinkle with remaining 1/2 cup cheese. Cover; bake 30 minutes. Uncover; bake 5 to 10 minutes longer or until heated through and cheese is melted. Serve warm. For a crispy topping, mix 1 cup Progresso™ Italian panko crispy bread crumbs and 1 tablespoon olive oil, mixing well. Sprinkle on top of pasta shells before baking. Bake as directed above until cheese is melted and bread crumbs are light golden brown. Most grocery stores sell a deli, refrigerated version of the spinach artichoke dip, which can be a nice shortcut for the filling.